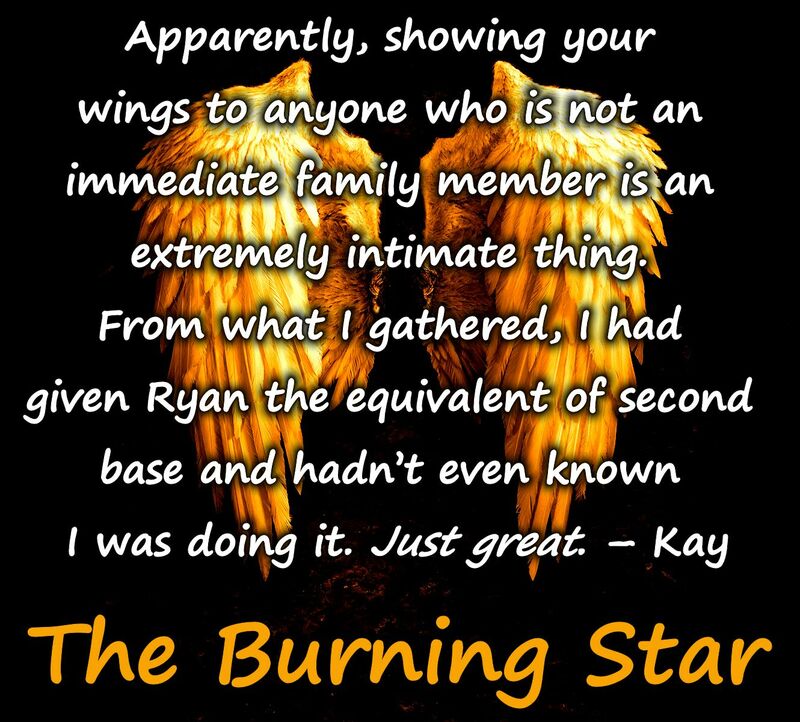 The Burning Star Blog Tour + Giveaway w/ 18 Signed Paperbacks & LAST DAY to enter the Carrie Ann Ryan signed paperbacks GIVEAWAY! The Burning Star Blog Tour Giveaway! 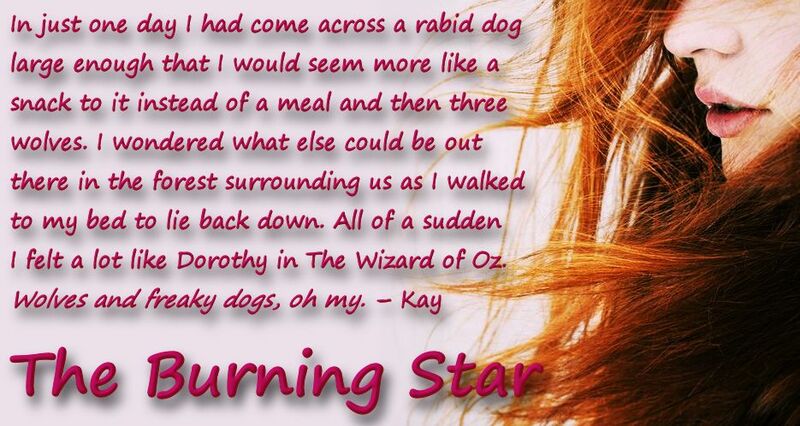 CLICK HERE TO SEE THE BLOG TOUR SCHEDULE & STOPS FOR THE BURNING STAR! THE BURNING STAR is NOW AVAILABLE & ONLY 99 CENTS for a LIMITED TIME! Grab your copy at this price while you can! The second book in the series – THE FROZEN STAR – releases May 29th, 2014! Kay’s journey of a lifetime started in the woods outside of Asheville, North Carolina. It was there that the 17 year old met a beautiful man along with a monster. The chance encounter led her to an unbelievable world that shouldn’t exist; a place where myths and fairy tales were real, and in some cases, deadly. Kay knew she would have to brave this new world if she hoped to find a cure for her terminal cancer. With a strange yet beautiful cast of characters that she would meet along the way, Kay uncovered truths that would change her life forever. However, before it was all over, it would become clear that Kay wasn’t the only one with problems. Kira had lived in a magical world that Kay had only dreamt of. Despite this, her life had not been filled with many good things. As a matter of fact, she considered her empty, emotional solitude the only positive aspect of her life. She fought daily battles to escape abuse and torture. ONLY 1 DAY LEFT TO ENTER the Carrie Ann Ryan & Jessie Lane Signed Paperbacks GIVEAWAY! The FABULOUS Carrie Ann Ryan sent me TWO SIGNED PAPERBACKS from her much loved Redwood Pack Series for a Giveaway! Who here loves shifters? *waves hand in the air* OH! I do! I do! Don’t miss out on this giveaway. It’ll probably be the LAST CHANCE to win signed paperbacks of Big Bad Bite and Walk On The Striped Side for a while! Hey, did you know that if you go “LIKE” my Amazon Author Page that they’ll send you an email whenever I release a new book? You could be one of the first to know when The Frozen Star (5/29) or Stripping Her Defenses (6/25) is available on Amazon! CLICK HERE TO GO TO OUR AMAZON AUTHOR PAGE! Bite Me, Baby: Why Are There Love Bites in Paranormal Romance? Check out my guest post on Heroes and Heartbreakers about mate bites with Gage & Adam from the Big Bad Bite Series, as well as my friends Celia Kyle and Milly Taiden! Don’t forget to sign up for the Jessie Lane newsletter! It’s the BEST way to keep up with new releases, giveaways, appearances, upcoming sales or just plain ol’ news from Jessie Lane! I just want to say Congratulations on the new book ❤ and Thank you for the amazing chance in the giveaway I have entered every day and pray to win theses amazing books, I hope your tour was fantastic you are great, and I wish you nothing but success. Even though I enjoy reading about all kinds of shifters, my favorite is the wolf. I absolutely love those big cat shifters. Yum. My favorite is dragon. Thanks for the chance. My favorite shifter is wolf. My favorite shifter is the wolf!